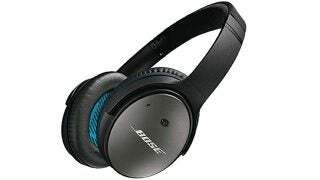 Noise canceling headphones have been around for quite some time, but Bose still remains on top of the market with their QuietComfort series, particularly their latest QC 35. After extensive research (which we’ll get into below), the QC 35s came out on top. 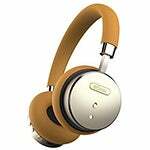 The market for noise canceling headphones has been growing, as witnessed at CES 2017, and in the future we’ll likely see some smart noise canceling headphones, or even earbuds that can compete. The perfect headphones for travel, work, the gym, or anywhere else life is too loud. 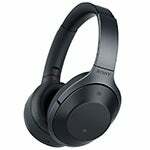 Originally released a couple years ago are the Bose QuietComfort 25, is the child of the newer QuietComfort 35. The ANC technology isn’t quite as powerful as the QC 35s, but the price tag is a lot nicer. The sound quality is equal, though slightly different (a little less “bright” if that makes sense) than the QC 35 as well. 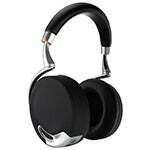 These have been one the most popular headphones on the market for a while, and for good reason. You’ll notice below that they are also our “best value” pick. 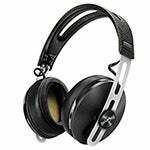 In addition to reviewing and ranking the best noise canceling headphones, our team of engineers and audiologists has also answered questions specific to what noise canceling is, why to use it, and how these style of headphones can be used for more than just listening to your favorite tunes, but also protect your hearing (if used properly). Before we get to the why, let’s first quickly talk about the what. What are noise-canceling headphones? Noise-canceling headphones can be either active or passive. To use an analogy, think of a refrigerator versus and ice cooler. Your refrigerator is actively cycling refrigerant in and out of the fridge in order to keep your food cold, while an ice cooler is passively cooling your food or drinks until the ice melts and it can no longer cool them. That’s pretty much how active noise control (ANC) works. Headphones with ANC (see picture below) have a built in processor that cycles an “anti-noise” to cancel unwanted sound (in this case ambient sound). On the other hand “regular” headphones rely on passive noise control, which is essentially just the additional insulation of the foam headphone over the ear. 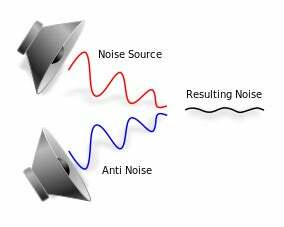 In a very quiet environment, passive noise control (PNC) is enough. Unfortunately if you’re on the plane, or in the gym, ambient noises are just too loud, and that’s where ANC comes into play. 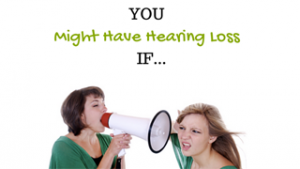 For most people, the first reason above is the priority, but ultimately protecting your hearing should be the priority. When you use regular headphones people have a higher tendency to turn the volume up in order to drown out the sound around them. But, with ANC that’s not necessary. 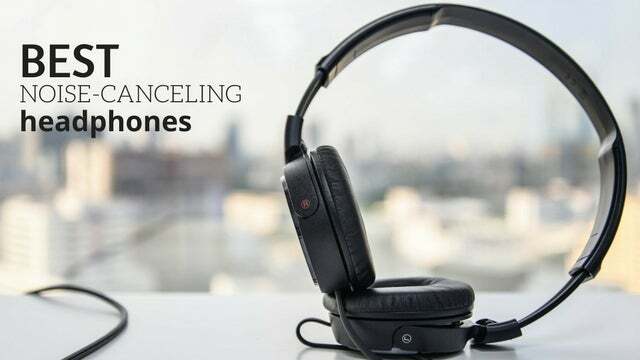 The World Health Organization recommends limiting noise exposure to 85 dB throughout the course of the day, and noise-canceling headphones make that possible. 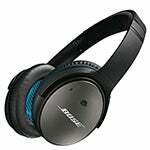 If you’re still deciding if noise-canceling headphones are for you, check out Headphones Help Guide Amazon’s guide here. 1. Does noise-canceling technology protect your hearing? 2. 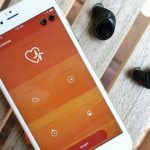 What about noise-canceling earbuds? 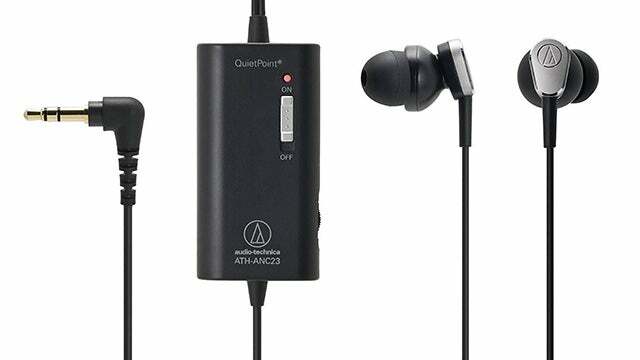 Active noise-canceling earbuds, like the Audio-Technica ATH-ANC23 QuietPoint, or the Bose QuietComfort 20 do exist. Unfortunately because people have different shaped ear canals, it is more difficult to get a perfect seal as opposed to over-the-ear headphones on our list. 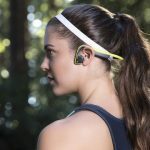 In addition, as you’ll see in the picture below, there will also be an in-line battery pack similar to what wired bone conduction headphones use. 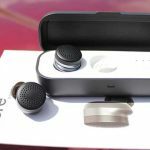 One last thing to consider about earbuds is many will promote or label them as “noise-canceling,” but make sure you read the fine print, as most are just noise isolating and do not utilize ANC. 3. Can I wear glasses with these headphones? This is a popular question, but a difficult question to answer because there are so many combinations of glasses and headphones. Ultimately it’s possible to wear glasses with the headphones on our list below, but you should expect a slight decrease in the noise-canceling effect if the glasses prevent the headphone cushion from “sealing” around your ear. We also talked about wearing glasses with hearing aids, and that may give you some information as well. 4. Can I wear hearing aids with them? 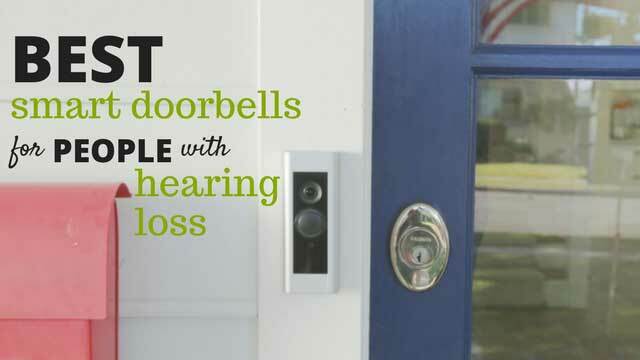 We’ve talked about wearing hearing aids with headphones in depth here. But a quick recap is that yes, you can wear hearing aids with most of these headphones. 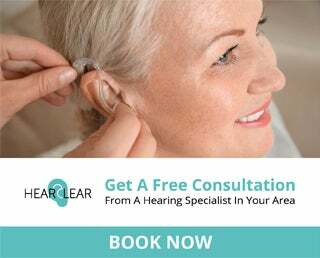 They will work best with completely-in-canal (CIC) and invisible-in-the-canal (IIC) style hearing aids, but can also be used for in-the-ear (ITE), in-the-canal (ITC), behind-the-ear (BTE), and receiver-in-canal (RIC). One word of caution is that non-circumaural headphones (i.e. 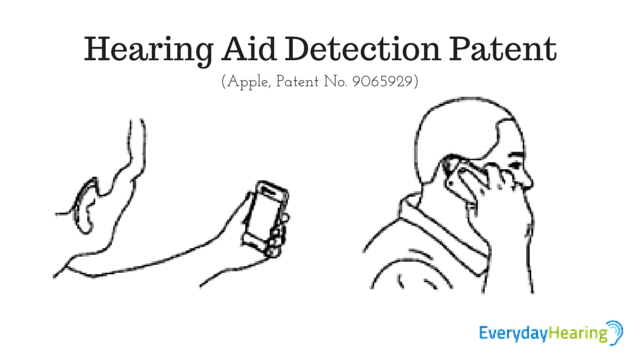 on-ear and not over-ear headphones) may cause feedback because of the proximity of the hearing aid microphone to the headphone speaker, this is why IIC and CIC often work better. 5. Is noise-canceling the same is noise-isolating? Noise isolation is a form of PNC where the seal of the headphone or earbud is used to prevent ambient sound. This technology is more prevalent in ear buds that fit into the ear canal, and it does not work as well as ANC. The table above ranks the headphones based on which ones are the best. That’s not specific to value, or specific to a particular activity such as traveling. It’s just an overall rank. However, we know many of you might be on a budget, or just looking for ones to take on the airplane, etc. So, below we’ve listed some of our favorites that cater to more specific purposes. Best value. You can save $50 to $100 just by going with an older model. The Bose QuietComfort 25 are going to be virtually indistinguishable from the QuietComfort 35 unless you’re an audiophile. Best on a budget. 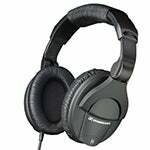 My first pair of noise-canceling headphones was actually the wired Audio-Technica ATH-ANC7b. 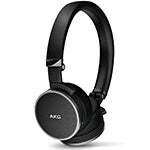 Most people don’t need a wireless pair, and if you’re on a budget you can usually find a pair under $100. The Sennheiser HD 280 Pro are another option here. Best for the gym. Many people are tempted to go with earbuds in this situation, but I would strongly urge against going with noise-canceling earbuds for the gym. Until they can find a way to reduce the size of the technology you’re going to be dealing with an in-line battery pack. This doesn’t seem like a big deal until you’re running on the treadmill or lifting weights and the battery pack is slinking and bouncing around. Your best bet is a low profile over ear headphone like the Bose QuietComfort 25. Best for traveling. 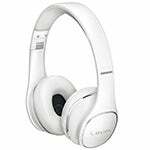 We travel quite a bit, so we understand the need for an amazing pair of noise-canceling headphones that also fit in a tight space. 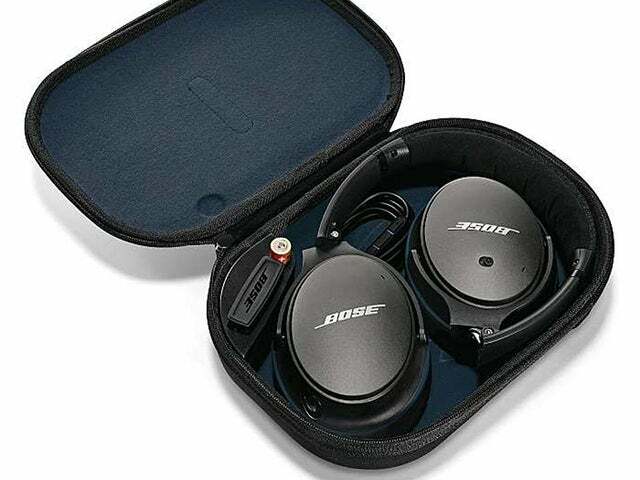 Once again, the winner is the Bose QuietComfort 25, which collapse to fit in a small rectangular case (see picture below) you should be able to fit in any carry-on luggage. 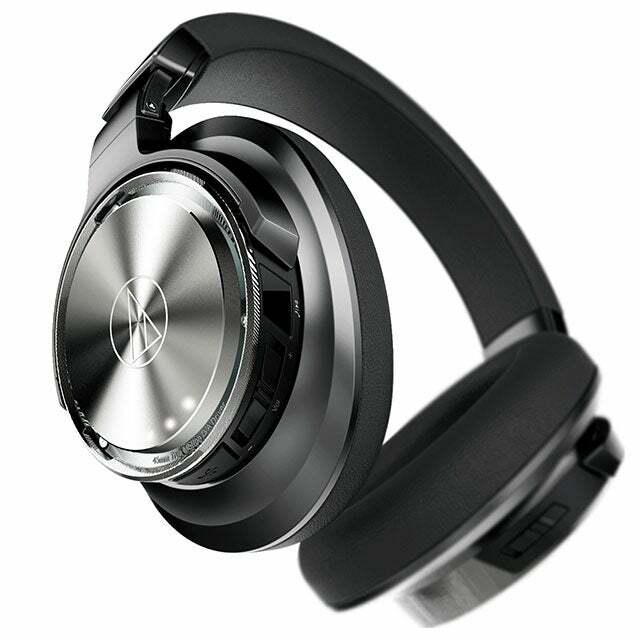 As we mentioned above we’re likely to see more “smart features” included in noise-canceling headphones. 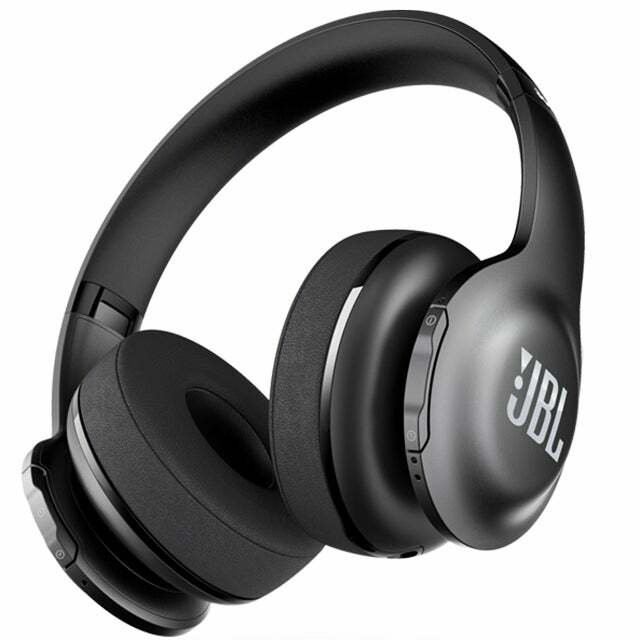 At CES 2017, JBL released the “industry-first smart programmable headphones” with their JBL Everest Elite. You can read more about them here. We also saw Audio Technica release the ATH-DSR9BT, a wireless version if its popular wired noise-canceling headphones. You can read more about them here. Monster also released some information about ANC version of their Clarity Around Ear headphones. With Apple’s decision to remove the headphone jack, I think the future should be very bright. 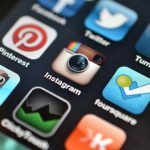 In a space where wireless technology has really come in the last 1-2 years, we should be seeing more improved versions of that may also include methods of noise protection as well as sound quality. We’re excited! It’s difficult to go wrong with anything by Bose, Sennheiser, or Audio Technica (even though we don’t have any on the top 10 list). These have been the big 3 in noise-canceling tech for the past few years, and will likely continue to be. If for any reason you’ve got some questions be sure to leave a comment below and we’ll get back to you. 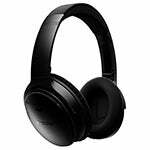 The noise cancelling headphones is a great choice when you travel with trains and planes and in places where is noise. I need noise canceling headphones for work. I don’t listen to music during the day just a 10-hr youtube recording of “celestial white noise” through my desktop computer. Primarily what I want to drown out is people eating at their desks (i.e. eating apples, chips, etc.). Thanks for any advice you may be able to offer in order to save my sanity! Hi Rachel. Yes I would go with the Audio-Technica for this purpose because you only need the noise-canceling features, not all the other bells and whistles. I have a friend who gets crippling anxiety from too much stimulus in crowded areas sometimes and was wondering what you would recommend for someone who want to be able to go out and about, be able to chat with friends at a mall or restaurant or listen to music but cut out the clutter of every day hustle and bustle? I would go with the Bose quiet controll 20 actually. In ear once. I have them and it is the best decision I have ever made! No more anxiety for me! I want to by Bose noise cancelling headphones but two issues. 1. I’ll be moving back to NZ where wireless is ok in our house but not perfect and bluetooth really racks up the bill. Can I use either or on the Quiet Comfort 35? 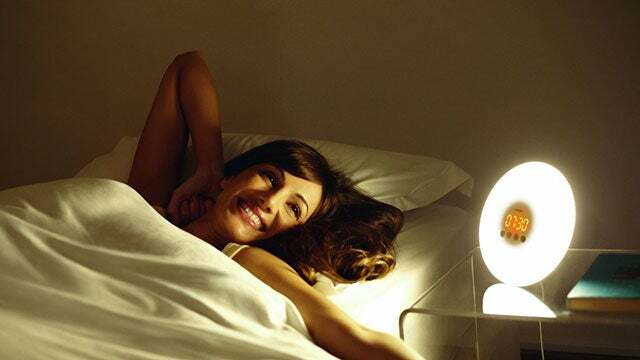 I’ve been unable to leave the house since February due to intolerance to noise, I also have intolerance to bright light. I’d love to go out but need to block out outside noise, what would be the best thing to buy? Ive been told either the Sony 100 or Bose 35 but then someone else said beats 3 as they cover all your ear I’m so confused. Generally speaking, I would go with Sony or Bose as they are a more trusted brand than Beats. Superb website with lots of very useful information and reviews with plenty of choice. Hello, Thank you so much for the positive feedback, we are so pleased you enjoyed the article.